JANUARY 2013: From ads to business cards to billboards, QR Codes — short for Quick Response Codes — are those little black-and-white designs you’ve seen popping up all over our communal pond. They’re 2D barcodes and, once decoded by a smartphone app called a QR Reader, they lead you someplace like a webpage or a coupon. They can also lead you straight to a cyber crook’s lair! So beware! The website you hop to for more information may really be operating the other way around and collecting information about you instead. Here’s how to keep your smartphone, passwords and identity safe. 1) Skip QR Codes that are on a sticker. Random QR codes stuck on telephone poles, street signs, bathrooms stalls or other possibly intriguing places might be a fun marketing campaign … or a not-so-fun identity theft scam. Keep your curiosity in check! And double-check to make sure the code you’re scanning isn’t really a sticker that’s stuck on top of a legitimate code. 2) Use a QR Reader with security features. 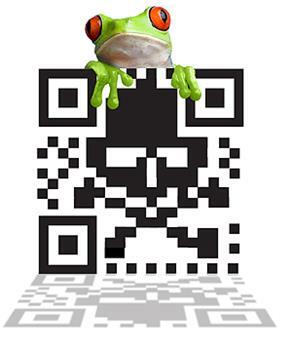 There are lots and lots of QR reader apps to choose from. Choose one that verifies a website’s legitimacy and/or shows you a preview before automatically connecting you to the website. Norton Snap, available for both Android and iPhone, does both, plus it checks the code against a database of malicious links. 3) Make your phone even smarter with a security app. With apps like Lookout Security & Anti-Virus (Free or $2.99) for Android and iPhone, and Kaspersky Mobile Security ($14.99) for Android, your smartphone will be protected from malware, viruses, phishing sites, spyware, spam and more, no matter how the bad guys try to get in.